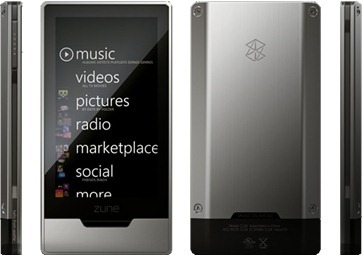 Microsoft Zune Team today has rolled out a new firmware update, version 4.3 for Zune HD players. This update is the third revision since the Zune HD launch in September of this year. The latest firmware update brings support for upcoming 3D games and apps, along with other performance upgrades and bug fixes. Some of the changes that we have noticed in this new firmware update are listed below. Zune HD firmware update: Today we released the v4.3 firmware update for Zune HD players; this update adds support for upcoming 3d games and applications, as well as an auto-suggest feature for better text input, and other minor improvements. Enjoy! Support for the upcoming 3D games and applications. Auto Suggest feature for text input. Keyboard option has been added in the settings section. New toggle between seek and presets under Radio. Under the Internet in settings, you can now toggle to default mobile or desktop webpage layout. Artists bios are updated; embedded links to other artists in text. Support for upcoming 3D games and applications for Zune HD sounds exciting! Rumor has it that we may get to see the first batch of 3D games and apps for Zune HD as early as 17th November, the same day on which Xbox 360 update is scheduled to arrive. what were the other two updates? I'm assuming that the first ones was shipped with the unit(did not work properly) the second is the one that activates the zune hd. This would be the third update( the real first one imo). Anyone feel free to correct me if I'm wrong. 4.1- when first connecting the zune HD to your PC, you needed to update to firmware 4.1 to unlock all the features and load music onto the device. 4.3- the current firmware released. so in total there are 3 firmwares, and this is the first REAL update.